It’s been on my wish list for too many years, but I’ve finally done the big Russian train trip. In fact there are three big Russian train trips, all of them ending in Moscow. 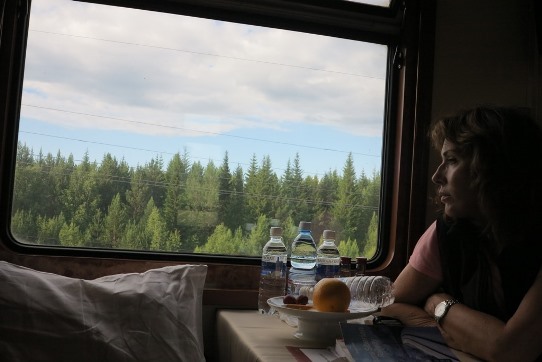 We took the Trans-Mongolian which kicks off in Beijing, heads north through Mongolia and meets the Trans-Siberian from Vladivostok at Ulan Ude. ▲ There’s still plenty of Siberia to traverse as you head west from there. In fact the view of Siberia unrolled from our window for days to come. I’ll post more in the following days, but our trip started badly. You take a Chinese train from Beijing to Erlian at the border with Mongolia. On the other side of the border you pick up the Russian train which runs on a broader gauge than the Chinese trains. Unfortunately the Chinese decided at the last minute to cancel our chartered Beijing-Erlian train. We switched to a flight to Erlian, but due to bad weather that was also cancelled. ▲ We ended up on a 14-hour overnight bus trip, here’s our bus making a roadside stop at 3 in the morning. ▲ But then we boarded the train and all was well as we rolled across the Gobi Desert to Ulaanbaatar, the capital of Mongolia. Maureen and I visited Mongolia six years ago. 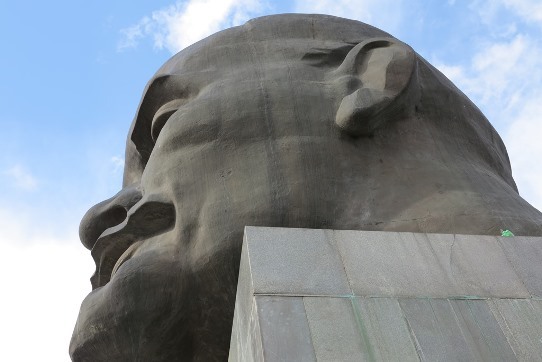 ▲ We encountered plenty of reminders of the old Soviet Union as we traversed the country, like this gigantic Lenin head in Ulan Ude. 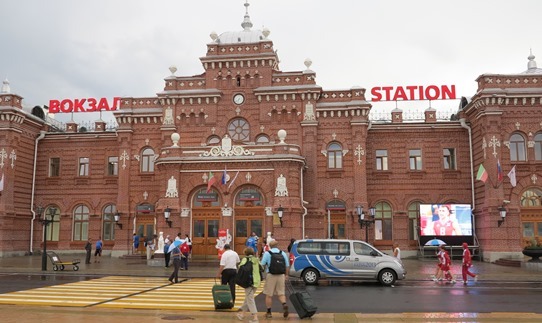 ▲ And we stopped at plenty of train stations, like this one in Kazan. More on the big red train trip will follow.